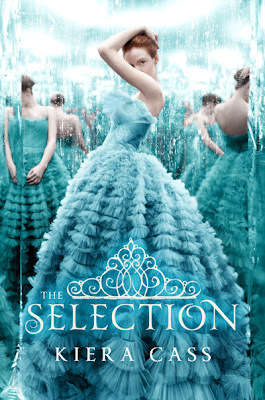 Over the past week I read the entire Selection Series by Kiera Cass. Harper Collins was kind enough to send me The Elite, and since I never read book one, it was off to the library I went. I’ve heard these titles shelved in YA dystopian or fantasy, but I don’t think they really fit neatly into either category… you tell me what you think. Here’s the brief low down on what I though of all three and the parental content warnings. Breview: If you are a fan of the TV series Bachelorette this has the same feeling to it. There are some light dystopian vibes as this is a futuristic society based on a tight caste system where the mates are selected for the prince. The main man, Prince Maxon and some stilted and formal lines. I think was meant to be that way, but at times I still had trouble connecting to his way of talking. I really struggled with Aspen and America’s relationship. He’s a creep! And the ending felt totally out of character for him. There some great scenes of “ear tugging” conversations and sweet dates between Maxon and America Singer, the voice and MC of the book. 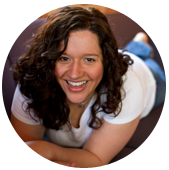 Content: I was bothered by the content in book one wouldn’t let my daughters read it. Highlight below with your cursor to reveal content. Content: Youth sneaking out, heavy making out, talk of being a virgin, some chauvinistic views of women and iea they could be taken advantage of. Too much sexual content for my taste. Drinking. Before thirty-five girls were chosen to compete in the Selection . . .
Before Aspen broke America’s heart . . . There was another girl in Prince Maxon’s life. . . .
Don’t miss this thrilling 64-page digital original novella set in the world of the New York Times bestselling novel The Selection. Also features a teaser to The Elite, Kiera Cass’s hotly anticipated sequel to The Selection. 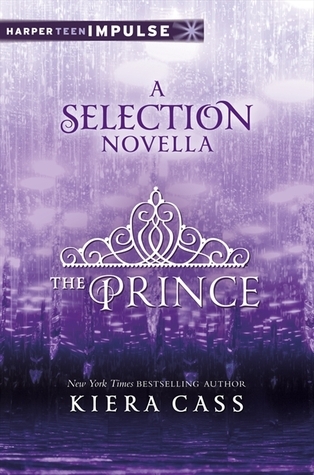 Breview: I really enjoyed hearing things from Maxon’s point of view, since both books one and two are written in America’s voice. And we learn more about the behind the scenes of why each girl was chosen as well as a glimpse of the King and Queen’s personalities. I wish the novella were a bit longer, it seemed super short. But there are sneak peek pages in the back for The Elite. 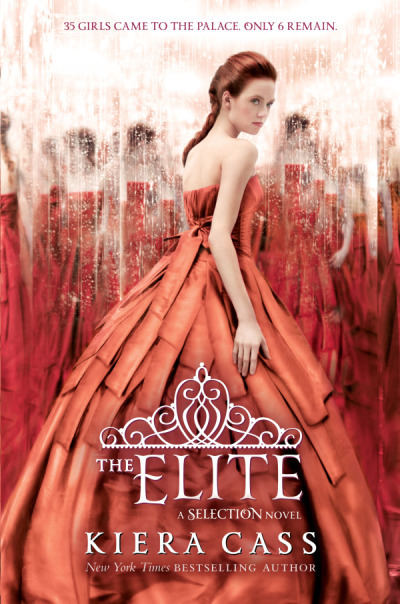 Click here for teasers from The Elite. Breview: AAARRRRG. The back and forth in The Elite killed me. It got really annoying to have America flip flop over and over again. Make up your mind sister! And please be honest with the one being left in the dark. Book two has more violence and dystopian elements, so overall a darker tone. Chapter ten is where it really starts to turn violent for a heads up. Definite love triangle tangle going. Without spoiling, I was disappointed by Maxon’s explanation for his behavior, when he’s been such a gentleman with America. Highlight the next sentence with cursor for content: heavy violence, child abuse, underage drinking, heavy petting in a bedroom, making out / cheating used as a way “to relieve stress” , mention of teenage pregnancy. one swear word. In a Nutshell: This is a very popular series based on the waiting list at the library for book one. I have to admit, I enjoyed it enough to buy the novella and read book two, but I wouldn’t pass it on to my own tweens. I’m truly hoping the love triangle gets resolved ASAP because to me the choice is obvious…Maxon, would be my selection.